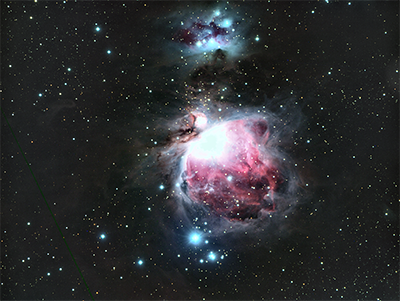 M42, The Orion Nebula - LRGBH x 5min each. 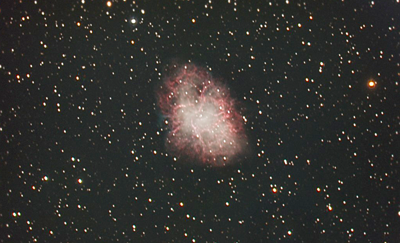 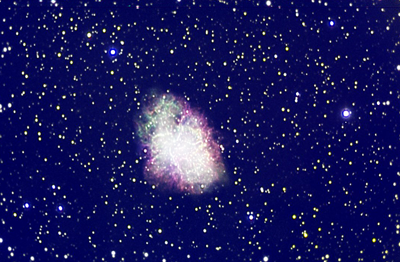 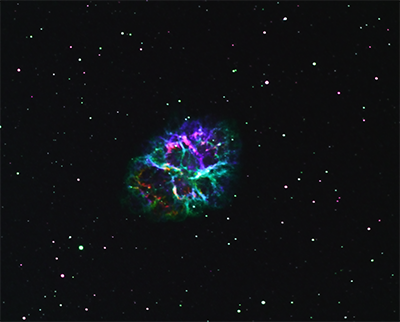 M1, Crab Nebula in Taurus. 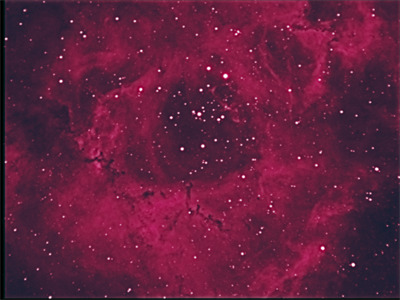 Photo taken with Ha, OII, and SIII filters. 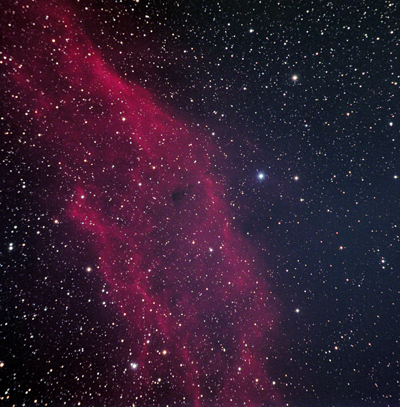 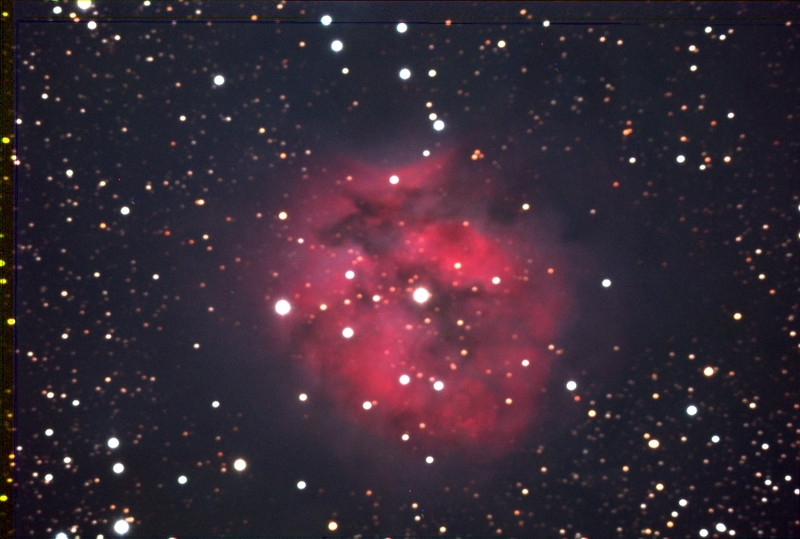 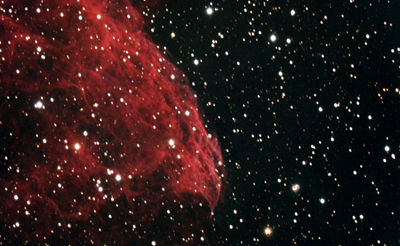 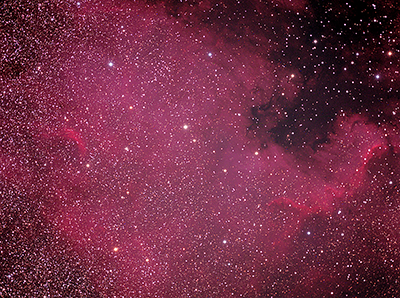 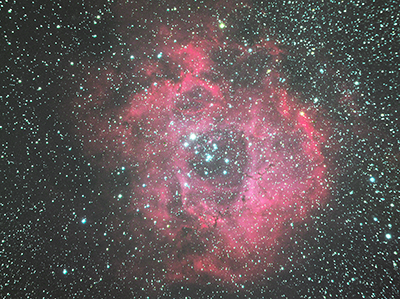 IC 5146, the Cocoon Nebula. 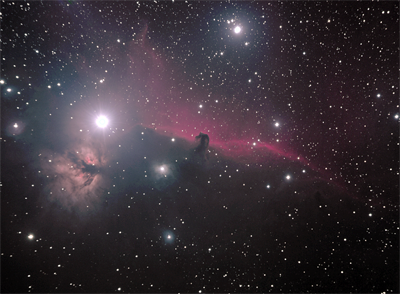 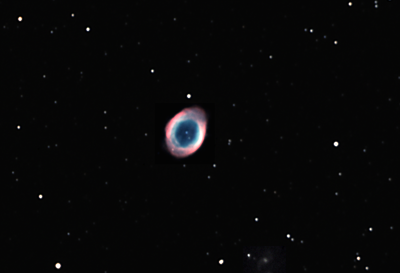 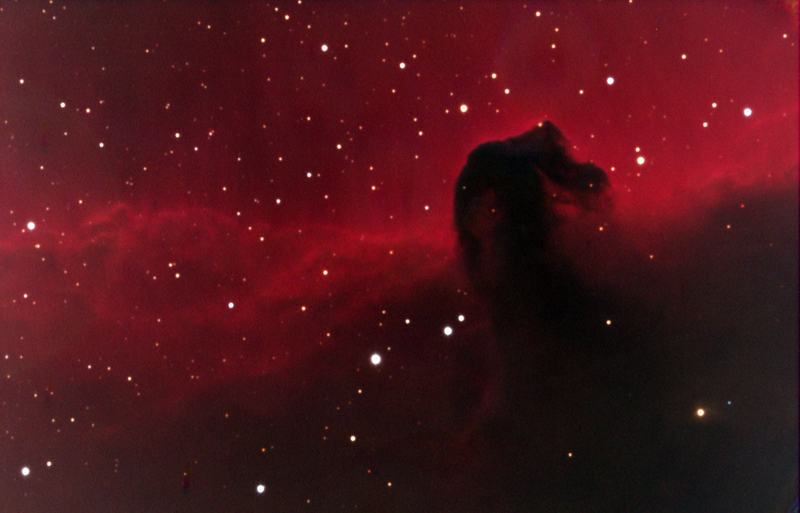 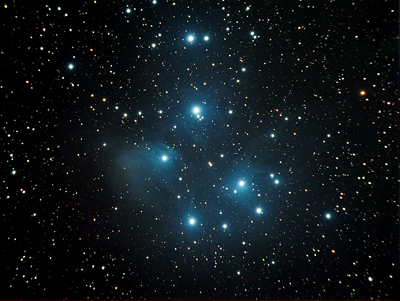 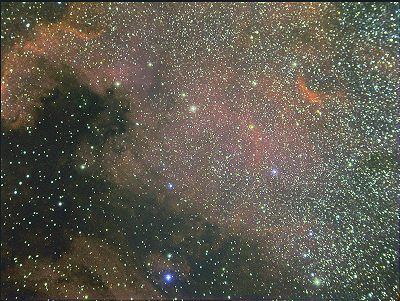 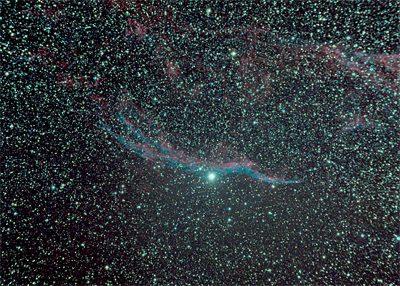 Approximately 6 red, 6 green, 4 Blue (had to throw out bad frames) at 5 minutes each were combined from the imaging session to make the image. 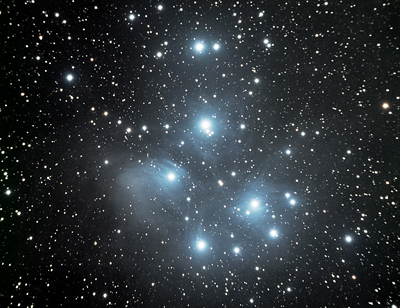 M45, 12-5-2016, The Pleides - Total LRGB exposure: 120 minutes. 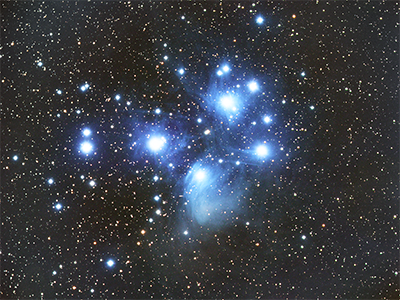 M45, 12-30-2018, The Pleides - Total LRGB exposure: 120 minutes.